Santé is stronger than steel on its 11thyear. 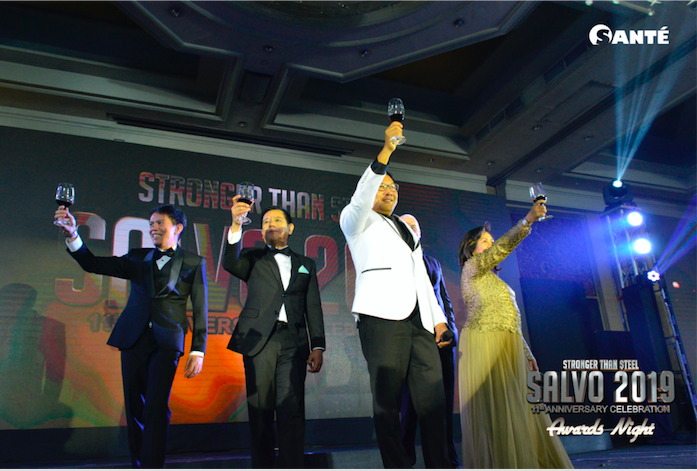 Santé, a leading global producer of certified organic barley products, recently held its 11th year anniversary entitled, ‘Salvo 2019: Stronger than Steel’ at the Dusit Thani Manila in Makati City. The event gathered thousands of Santé business owners, business partners, and stakeholders from across the country and from the continents of Africa and Europe. The theme of this year’s celebration revolves around the story of how Santé came to be the global premier health and wellness provider that it is today amidst all the challenges and obstacles faced by the business. Steel, which has been widely used as a foundation of construction sites and of the building industries, represents Santé as a business built upon hard work, strong character, and a solid community tested through time. According to Joey Marcelo, CEO of Santé, 2019 will be an exciting year for the company as they continue to build a strong foundation for their business owners, as well as their growing presence globally. Among the highlights of the fun-filled event is the conferment of awards and incentives to Santé Year-End Travel Galore Promo Qualifiers, Top Hall of Famer of the Year, Car allowance Qualifiers, and Santé Extreme Incentive, among others. Other executives from Santé such as Paul Caluag, chief distribution officer of Santé, Minette Carag, chief product officer of Santé, Eric Maranan, CFO of Santé, and Peter Hope, managing director for Santé New Zealand, graced the stage during the awarding. Also present during the event were Kuya Kim Atienza, the brand ambassador of Santé Barley, James Deakin, automotive journalist and events host, as well as the premiere vocal group, the Company, who wowed the crowd through their performance. Santé is a producer and a distribution company of organic wellness products. The company offers products that do not have synthetic, harmful ingredients while serving as a mounting venue for entrepreneurs. Among its flagship products is Santė Barley, a supplement made out of 100 percent young barley grass that is grown in the Canterbury Plains of New Zealand and is certified organic by BioGro. Barley grass powder is very potent to fight free radicals that can cause damage to health. To know more about Santé, its product offerings, and other upcoming events, visit their official FB Page at www.facebook.com/pg/santeofficial.ph or their website at www.santebarley.com.